Retailers can now take advantage of the massive product and inventory databases they already have, but in new ways that enhance the consumer experience and improve business results. At massive tech conferences like CES, SXSW, Web Summit or even Dreamforce, data is at the core of many innovations and conversations. But it’s time we add another annual event to that list: The National Retail Federation’s Big Show. More and more, the retail industry is driven by data insights and the technologies powering them. So, it came as no surprise to me when visiting NRF in New York last month, data-centric technology innovation was in the air. The NRF’s Retail Big Show lives up to its name. It’s a whirlwind event jam-packed with smart people and smart conversations. And if you’ve ever been inside the massive halls of Manhattan’s Jacob Javits Center where the event was held, you know what I mean about “big.” So, there was a lot to take in. By now, many of us have heard about Amazon Go, the convenience store concept the e-commerce giant is testing in its hometown of Seattle, Washington. Well, if the talk at the NRF event is any indication, we’ll be seeing a lot more where this came from. At Amazon Go, shoppers can rush in and rush out without waiting in line, and it’s all based on data connections enabled by their mobile devices. After downloading the Amazon Go app, consumers scan their phones at turnstiles as they enter the store. 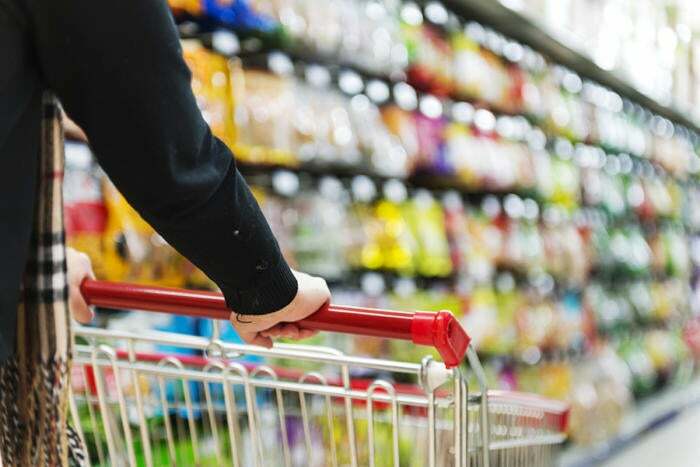 Shelf sensors and cameras (Cameras are important components of other emerging retail tech, too – more on that, later) note when a shopper has picked up an item like a ready-made salad or bottle of beer. Then, the system automatically tracks the items chosen by each shopper, enabling a seamless transaction through the app, all without the hassle of waiting for the cashier, or even pulling out a wallet. Amazon isn’t the only company developing these smart checkout technologies, of course, which means other retailers will be experimenting with them, too. To me, the consumer data and insights implications are particularly interesting. Amazon or other stores with e-commerce presences will be able to connect shoppers with both their e-commerce purchases and bricks-and-mortar purchases more readily than ever, providing valuable insights into shopper preferences and behavior distinctions between real-world and e-commerce shopping. In-store chatbots were also a hot topic at NRF this year, which means we can expect to see more of them -- and not just inside mobile apps, but in digital displays right in the store. The idea here is to provide an AI-driven supplement to the floor sales staff that can answer easily-addressable, frequently-asked questions, and of course, improve the shopping experience overall. Of course, chatbots are just the tip of the iceberg when it comes to technologies employing machine learning and AI to improve the shopping experience – and product merchandising appears to be a corner of retail where we’re seeing a lot of it. At NRF’s Innovation Lab Emerging Technology Showcase, one platform on display employed image analysis and in-the-moment shopper behavior data to optimize product merchandising in e-commerce environments in real-time, rather than relying solely on historical shopper data. Another system allows retailers to present the perfect garment, footwear or accessory to shoppers online or in-store through virtual mirror technology or digital displays, based on what they’ve already chosen, their personal preferences and location. So, retail data is not just about CRM data, online behavioral shopping data or transaction histories. It’s about imagery, and it appears retailers will have an array of image recognition tech innovations to consider in the near future. Image recognition platforms can tap huge databases of product information, making it accessible via mobile phone apps that shoppers swipe across product labels or other signals recognized by these systems. A label on a can of tomatoes on a grocery store shelf? Today it can reveal a world of recipe possibilities. And it’s not just about recognizing product imagery. Facial recognition is another emerging technology space with loads of applications for retailers. When a regular customer at one store visits another location while traveling, facial recognition can take over where humans typically cannot. For example, tech providers are introducing systems that employ webcams tied to customer databases to enable personalized in-store shopping experiences. All in all, what we’re seeing more of are technologies with specific retail applications that provide deeper insights than ever before. Now retailers can take advantage of the massive product and inventory databases they already have, but in new ways that enhance the consumer experience and improve business results. Shopping sure could look a lot different in the next few years.